The soup in the picture is a very good soup made with a long and varied list of elements. Unpopular to the children of the city is today declaimed in the Roman taverns or in the Trattoria of all Italy as a rafined dish. This is also suitable for Vegans since it has not added any element of animal derivation. Why not call it vegetable soup then? Because a minestrone is something more that also understand the English who use the same term. 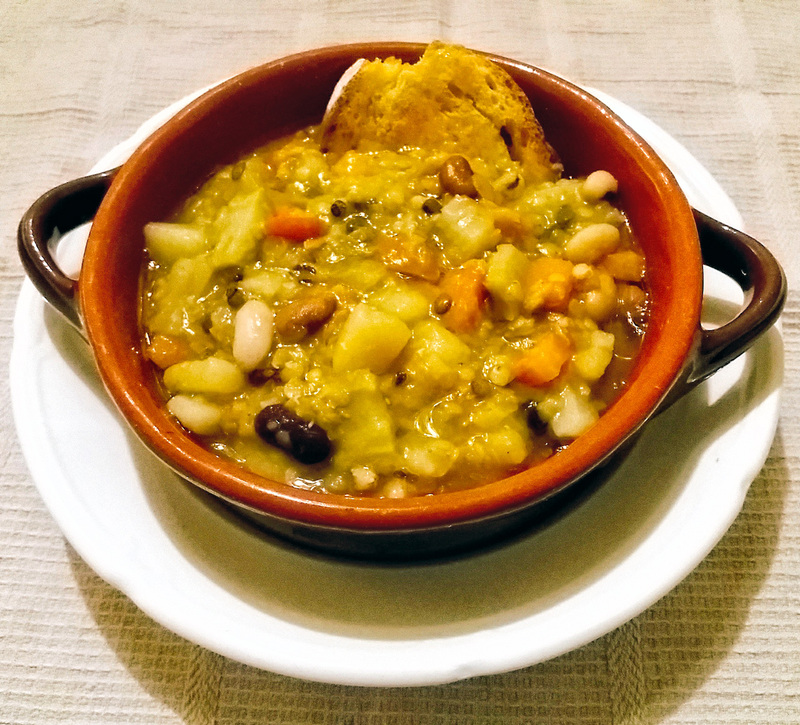 We Italians attribute to this culinary definition “minestrone” a similar meaning to the jumble or hotchpoch for this I have listed the ingredients but it is totally irrelevant to try to reproduce the experience in a scientific way. In a good soup there is everything you want! 1 tablespoon of extra virgin olive oil to taste on the plate. Add the vegetables to the water and boil 2 h.
Add the salt when cooked. Serve with toasted bread and raw oil. 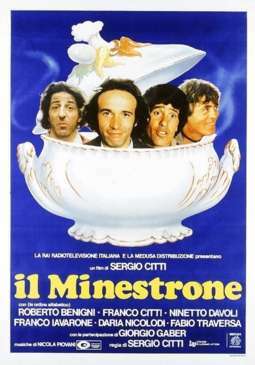 Our celebrated Roberto Benigni named his own movie of the 80s, combining satire and food with a real minestrone! Fiaccavento Margherita was born in Rome in 1968. Having long studied for a diplomatic career in Rome and Paris rejects the constraints by developing a rebellious and non-conformist life. After 15 years of professional experience managerial changes to television as a writer and web content. In 2012 he left Rome and the Eldorado media for the Emilia countryside. "Amazon on me"and 'his first work of fiction.